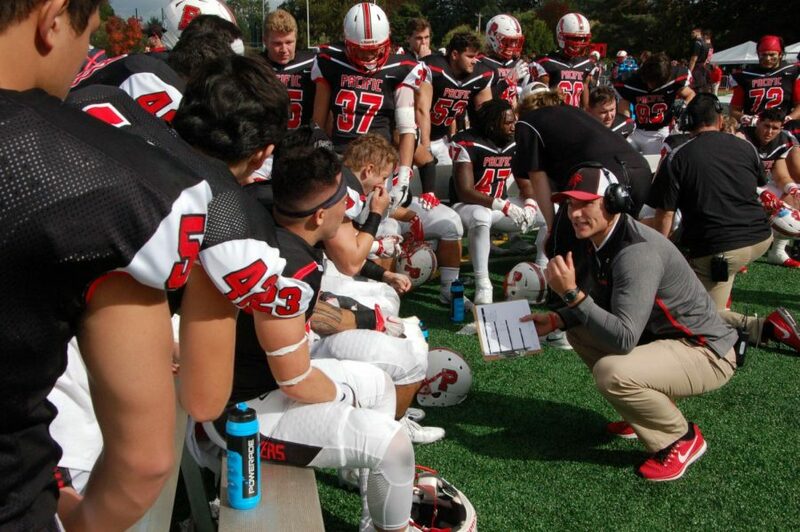 Former All-American linebacker and more recently known as assistant linebackers coach for the Pacific University football team, Jack Perez, is leaving after one season with the Boxers. Perez will be taking his coaching to the next level with Eastern Washington University, a Division I FCS program, part of the Big Sky Conference. Eastern has been a top-notch team over the years, having twenty-five conference titles, including a National Championship win in 2010. After quite a career as a linebacker for the Boxers, earning All-American Honors, Athlete of the Year at Pacific, First Team All-West Region honors, a school record of 123 tackles in one season and many other accolades, Perez took a linebacker assistant position with his former team. Perez noted earlier in the season that Pacific was the perfect place to start his coaching career. His first season as a coach was an opportunity to see a different side of the game, and he enjoyed each part of it. As a player with the same team a year ago, he earned greater appreciation for what the coaching staff does. He will start as a defensive intern for the Eagles, a position he just started a week ago. Perez will look to build up his coaching resume and with many accolades and experiences on the field, he is ready to take that knowledge to the ‘sidelines’.